Set for Saturday 19th September, it's just over two weeks until Watford's Big Sports Day returns, complete with a huge array of free activities for the whole family to try out. Ever wanted to try your hand at cricket? Golf? Tennis? BMXing? It's all free and you don't even need your own sports gear. Everything you need to hit some balls or have a go on the BMX track will be ready for you. A 60m athletics track will be between Clarendon Road and the flyover but don't worry if you're not quite as fast as Usain Bolt as the races will be more of the sack and three-legged kind. If you fancy something a little more adventurous, why not try out free-running, otherwise known as parkour? You can imagine that you're James Bond in the middle of the infamous Casino Royale chase scene... except you'll actually be in Watford and there won't be any dangerous explosions! 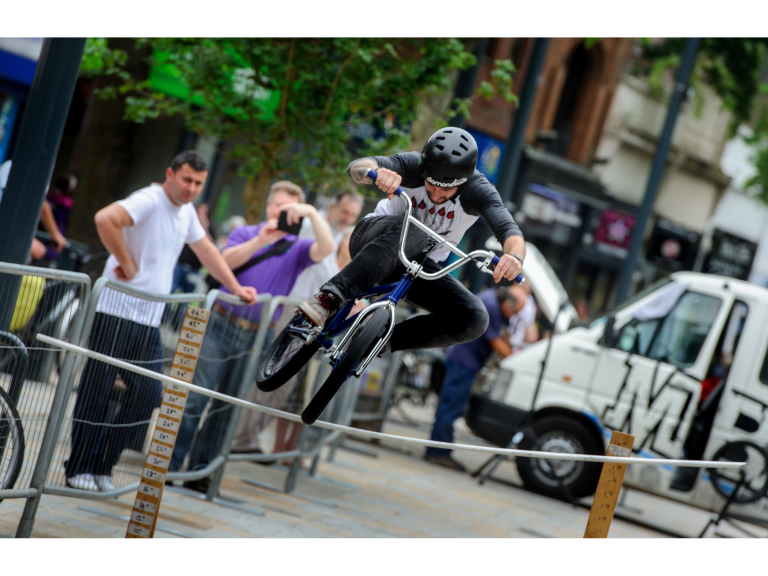 Sports and fitness activities will be held by Everyone Active and other town centre gyms along the pedestrianised part of Watford's Parade from 11am until 5pm. You could indulge in Zumba, take part in a group exercise bike challenge or scale up a climbing wall. Fresh from their promotion to the Premier League, Watford FC coaches, Harry the Hornet and members of its Community Trust will be holding some footy fun near the Rickmansworth Road subway on The Parade. Plus, if you're more into the sport with the funny shaped balls, next door there will be some huge inflatables so that you can learn rugby tackling and throwing skills. The Big Sports Day is aimed at all ages and fitness levels and best of all, it is completely free. Staged for the second year in a row as part of Watford Borough Council's Big Events series, The Big Sports Day is taking place on Saturday 19th September. We look forward to seeing you there!